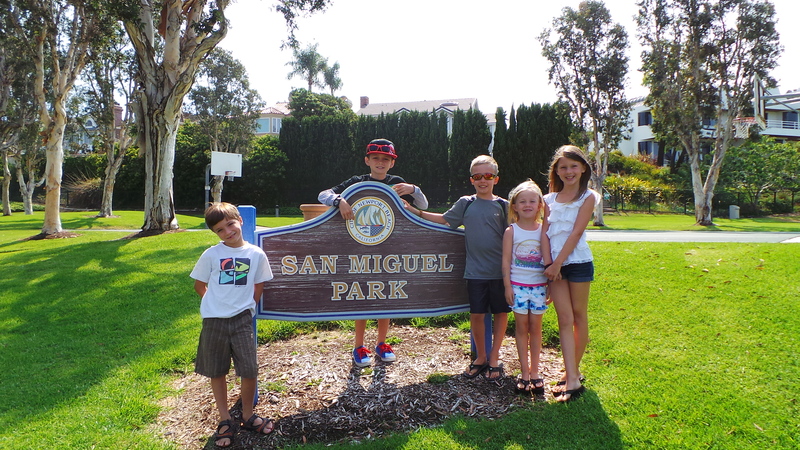 San Miguel Park in Newport Beach can be a little deceiving. 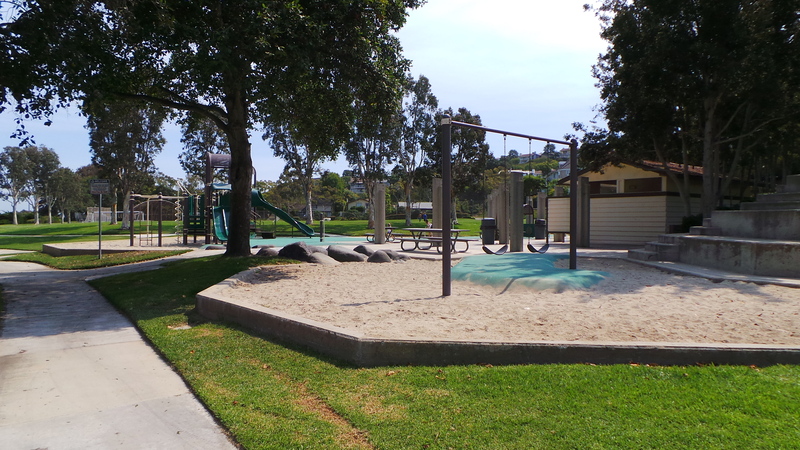 From the street is looks like just a small tot lot, but once stepping foot on the park, families learn that it is one of the largest parks for families in Newport Beach. 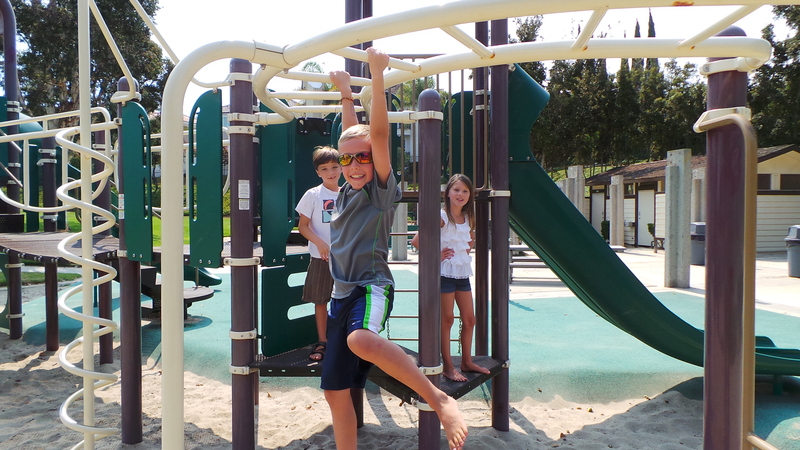 The park has something for everyone, and offers families an intimate park birthday party experience. 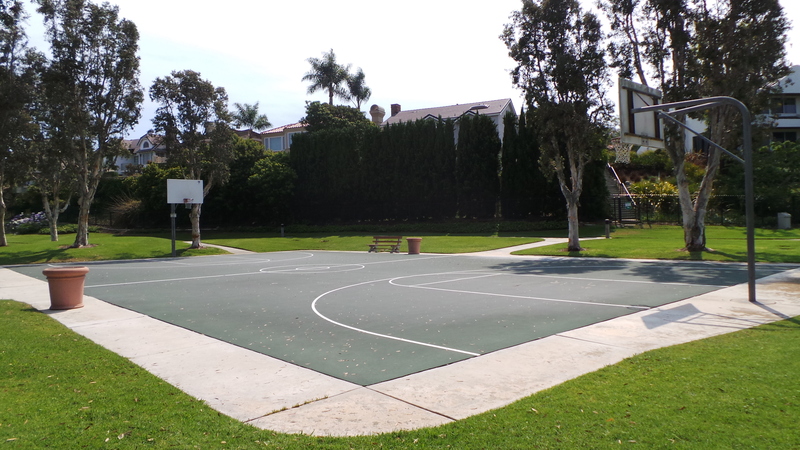 The park has a huge basketball court for families to play a game. 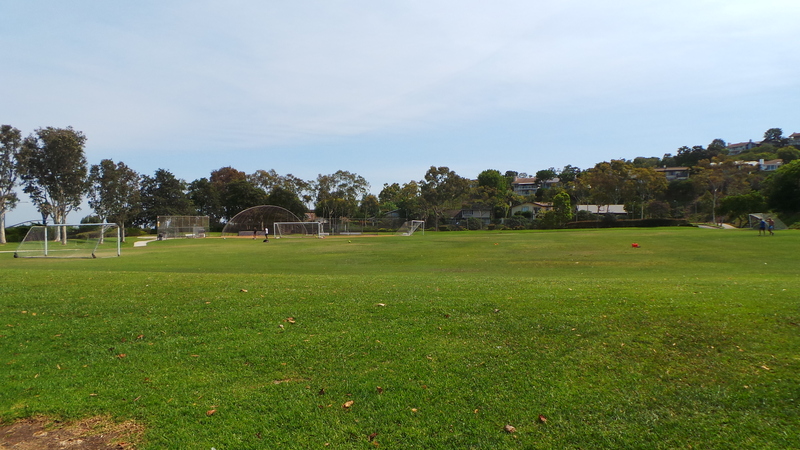 If you come early in the morning, there are usually “dad’s” playing on the courts, but come the afternoon they are pretty much vacant all day. 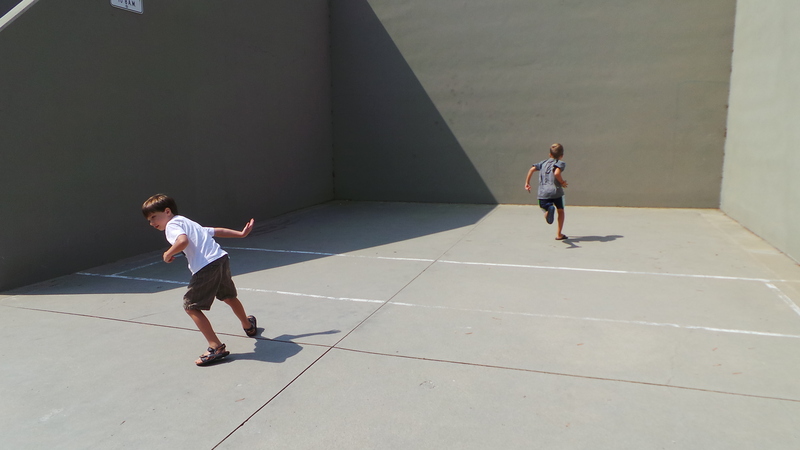 Bring a racquetball, tennis ball or dodge ball for the dodgeball courts. 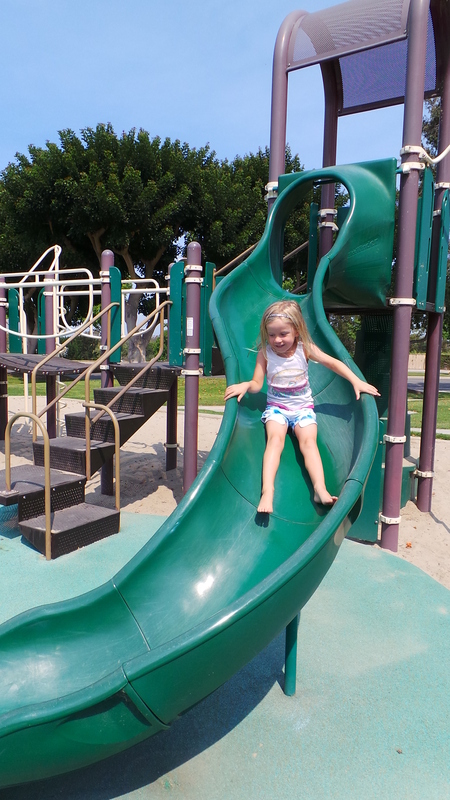 This is one of my kids favorite features in this park. Be prepared for your kids to get nice and tired. 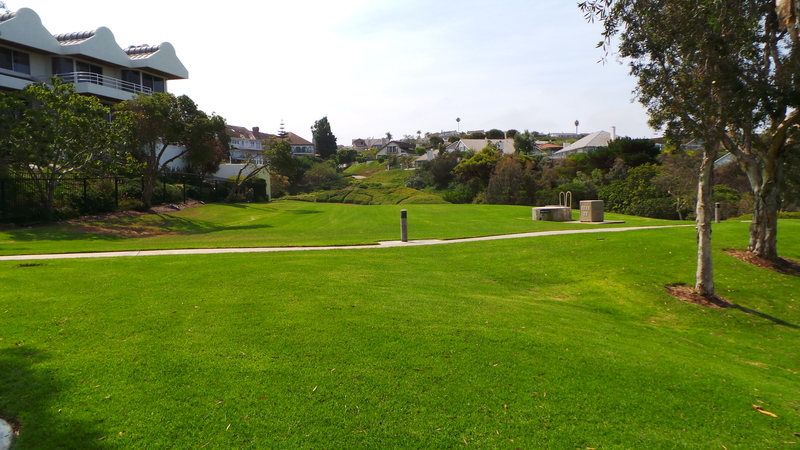 There is a large grassy area located between the dodgeball courts and basketball courts. Often times there are locals tossing the ball to their dogs in this area (keep an eye out for land mines). The park! Like I said, the park looks small from the street, but it is quite large. 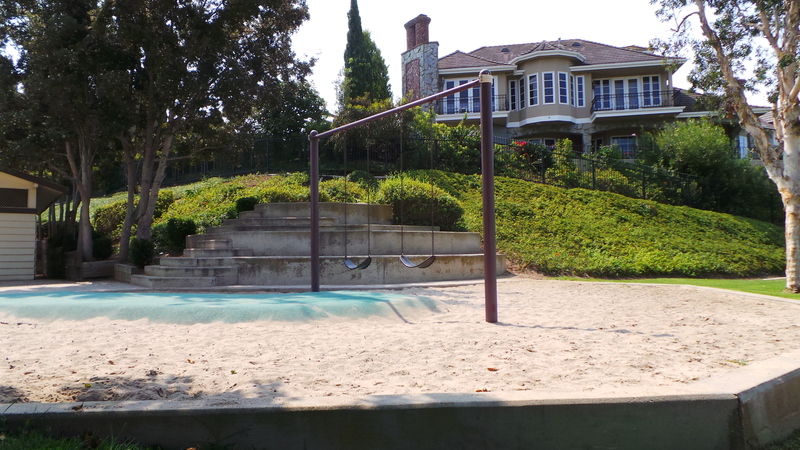 There are two swings and nice amphitheater seating for parents to enjoy a cup of coffee together while watching their kids play. 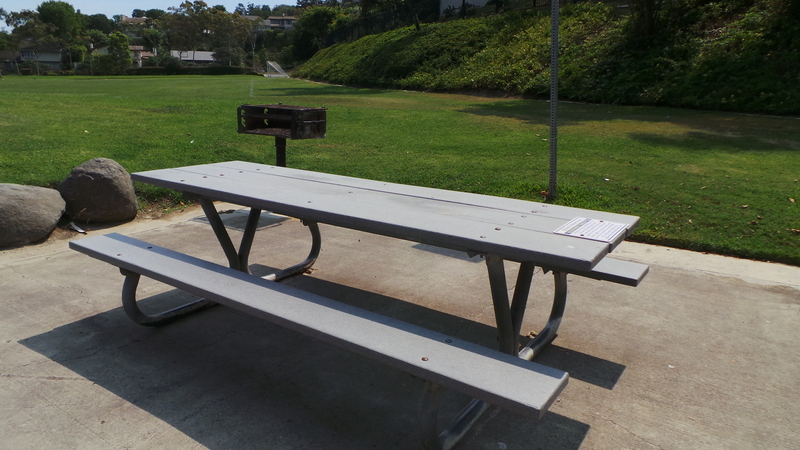 Right next to the park is a large baseball/soccer field. Bring plenty of balls, and plan a family sports day. 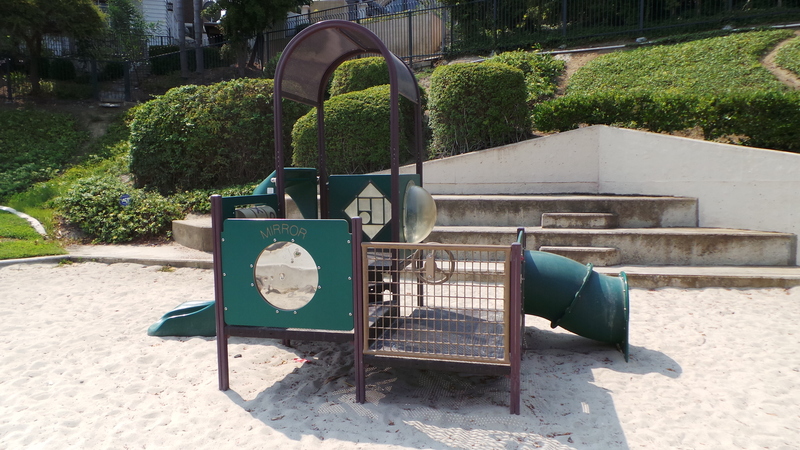 The play structure is only a couple of years old. 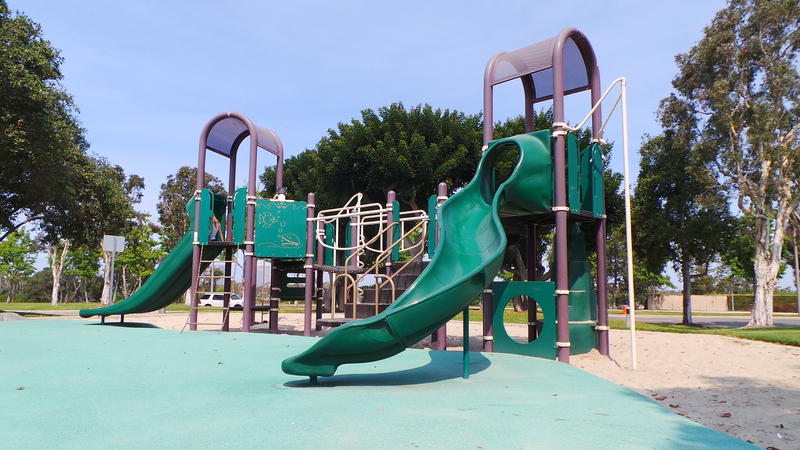 It was recently restored, and has lots for kids to explore. 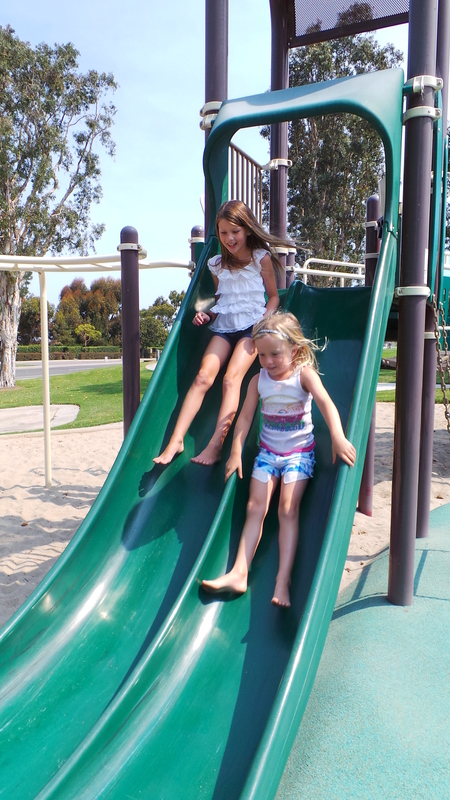 There are two slides, and climbing galore! Then there is a cute tot lot for the younger children to play. 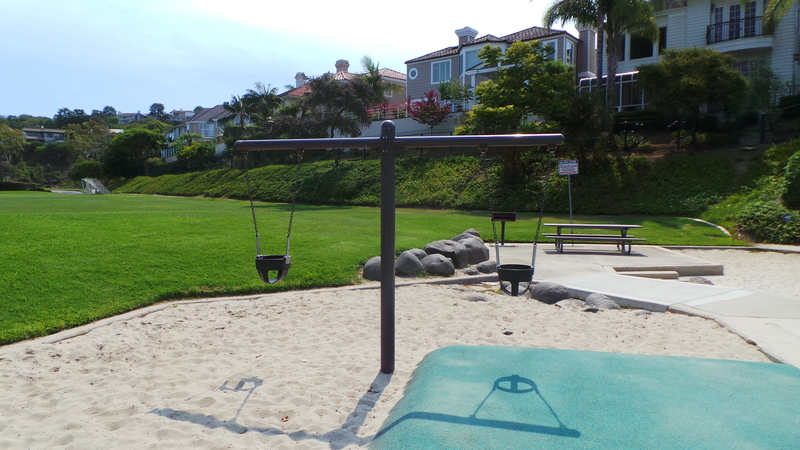 Right next to the smaller tot lot are two baby swings. 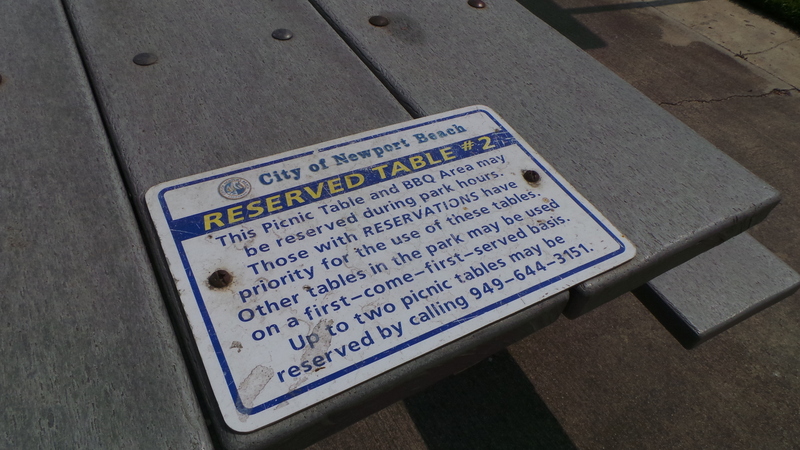 These tables need to be reserved in advance for your parties. As you can see the park is nice and deep. Finally, there is a third tot lot for the younger children. 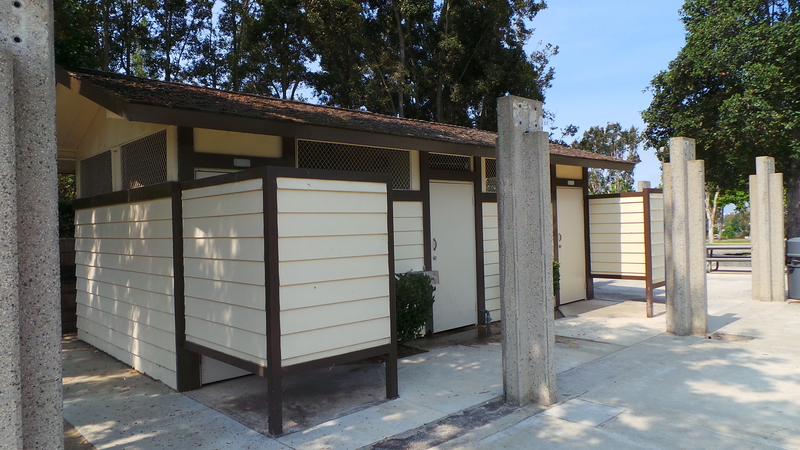 The best part – clean bathrooms!! 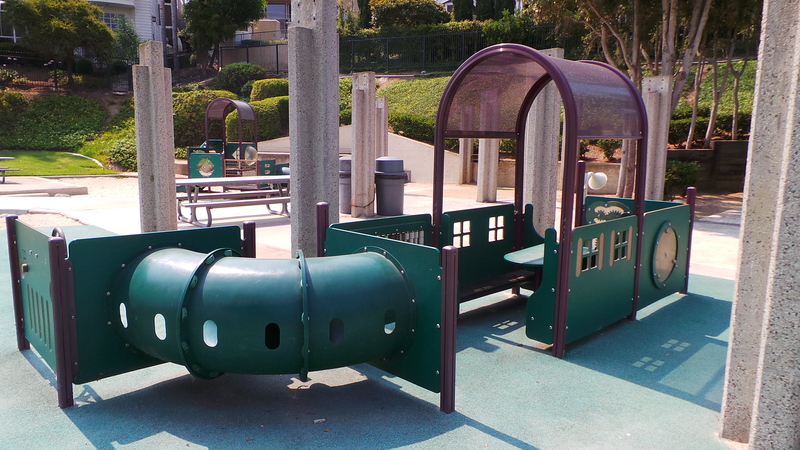 Another reason why this is a good birthday party park. 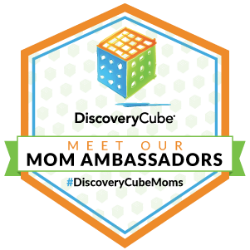 Come ready for some fun! 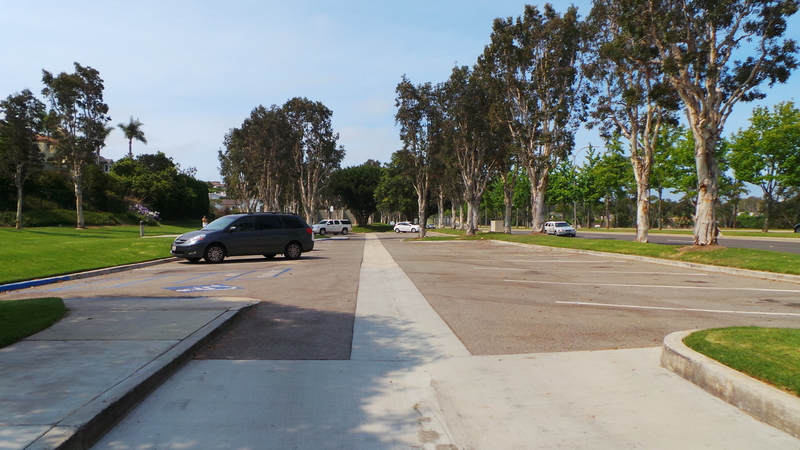 Parking – there is plenty of parking, but getting into the parking lot can be a little tricky. It can only be accessed from one side on San Miguel Road. If you have a child who might run-off easily, I would not recommend this park. It is set back from the street, but it is not worth taking the chance. 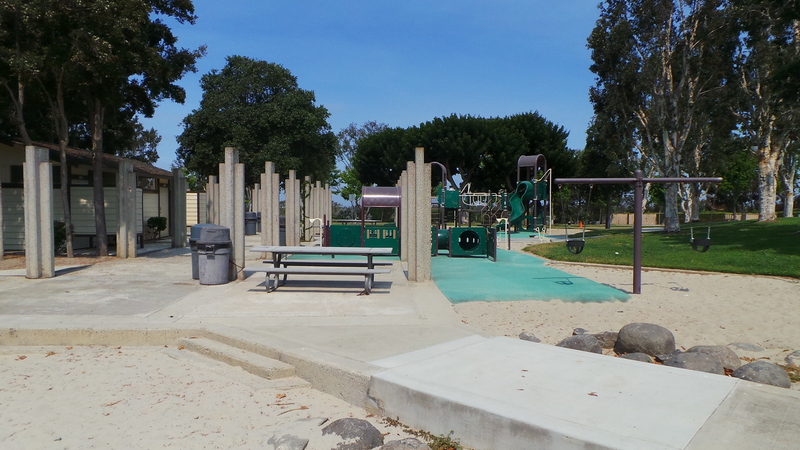 The park is located at San Miguel Road and Spyglass Hill Road.